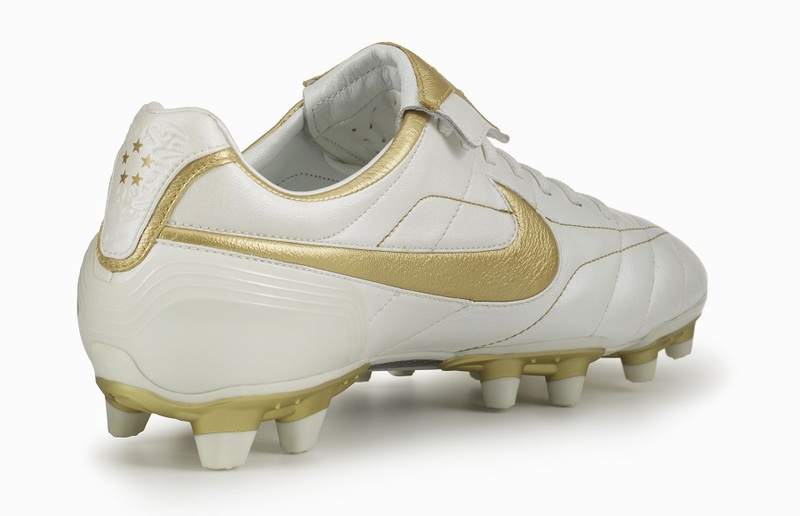 With the upcoming release of the Tiempo Legend “Touch Of Gold”, we wanted to take a look back at the Nike Air Legend Tiempo released in 2005 via “Crossbar,” the first YouTube video to garner a million views. 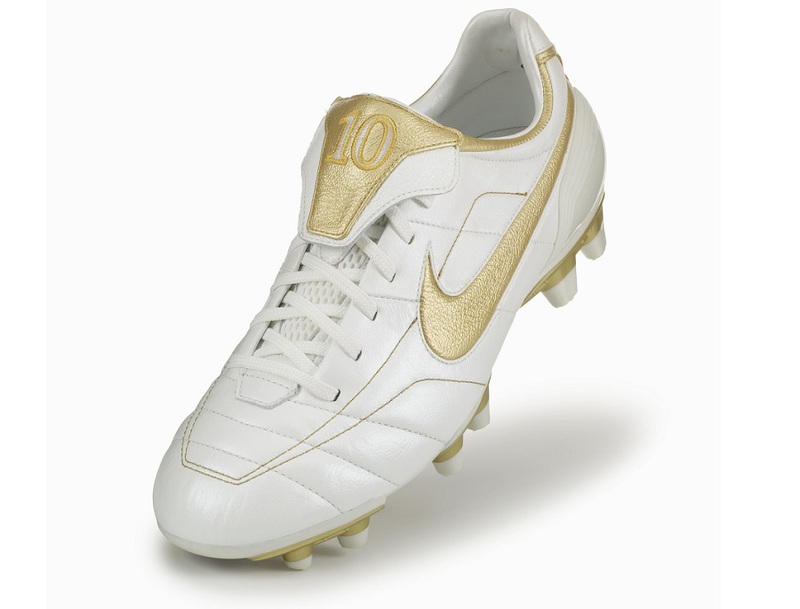 The original version offered an unmistakable look, with an all-white upper and exquisite golden accents. This was a period when Ronaldinho’s status as one of the best players in the world was coming to fruition. He was named best player in the world in 2005, for a second year running. This version became synonymous with the elegant performances of R10 and really stands out as one of the more memorable releases of our time. A soft k-leather upper was matched with Nike Zoom Air technology through the footbed. This was a boot that provided clean touch and control on the ball, while offering players all the modern perks found in a generational release. At the time of release, weight wasn’t a key focus in boot performance, so the 11oz weight wasn’t considered a negative. In today’s world, that number has dramatically dropped and the “Touch Of Gold” version is set to weigh in at 8.4oz. If you want to find a pair of the 2005 Air legends, you can still find pairs on eBay. Price is obviously the big drawback at this point, with inflated prices due to lack of availability. But, there are still pairs if you want to invest. Otherwise, September 2nd is the date that 3,000 special edition pairs of the “Touch Of Gold” will be available – at soccer.com. We will update with details on when/where they are available to help you secure a pair before the sell out. Stay tuned for more updates!